Im getting a Quilter bass block 800 next week. These have been getting really good reviews online so looking forward to trying this out. Who is the NZ dealer or are you importing personally? verb, Hardy, PaulS and 2 others like this. They are more flexible than 10'' and have more mids than a 15'. 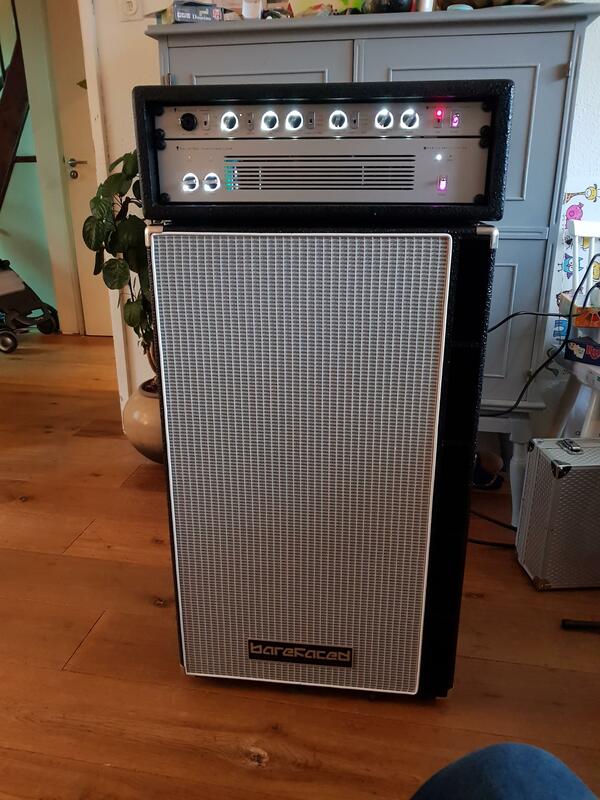 Before the FMCs I used to play a Warwick 6x10' box. Not bad but heavy as f*ck. I accidently came to the Eminence Kappas 12 Pro inside, cause I bought a modded box. But I prefer the sound more than the original speakers and also installed them into the other two Performers. verb, Stainless, Hardy and 1 other person like this. Really happy with my setup at the moment. I think iv maybe nailed the tone in my head. 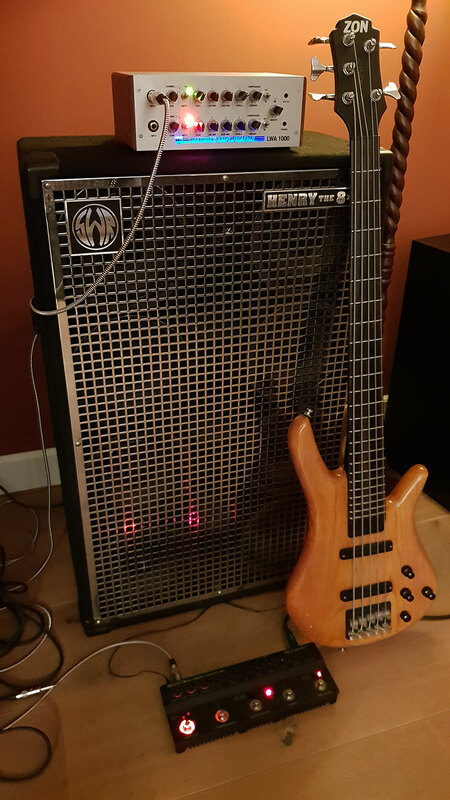 My main bass is the stage 1 with delano dual coils, i use f bass exposed core strings, john east preamp, into tuner, cali76 tx, dg alpha omega, noble tube pre, quilter bass block then bareface big baby two cab. 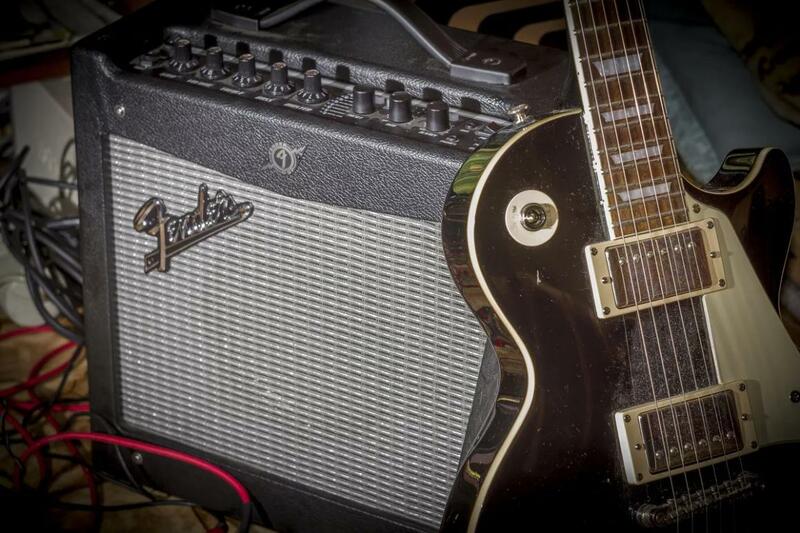 Looking forward to next jam night or gig with this rig. I might do a small recording if anyone is interested, to me it sounds super sweet. Have not run the pedal board into my hellborg yet. That shoud be interesting with tube front end into my hellborg setup. Hoggles, tomb68, Narcdor and 3 others like this. ~SuperSkunk~, Bassist4Eris, tomb68 and 2 others like this. JPT, Stainless, Hardy and 5 others like this. DiMarco, some info on the ELF head please. 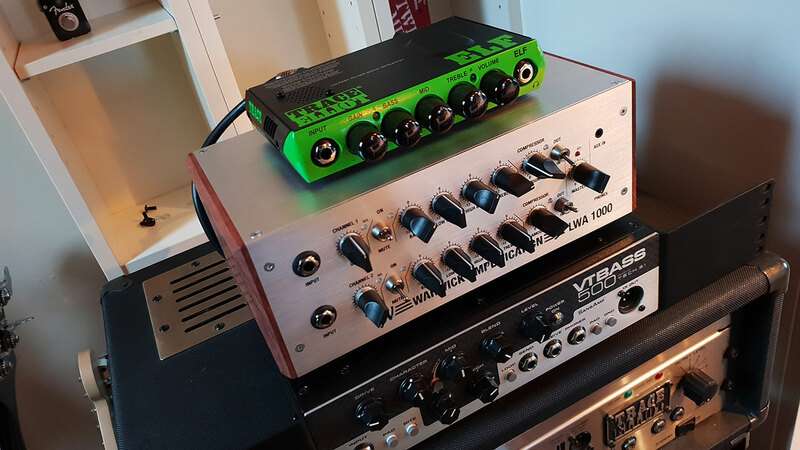 Have you tried it with the 110 or the 208 Bassbox? The ultra portable thing interests me... 110+ELF=8kg, 208+ELF=13kg. I've also been checking out the Markbass Mini CMD 121P which is much more powerful. The Elf is just loud enough with a high output (over 100dB @ 1 watt) 2x12 or my 8x8 for the practice room. In this situation, it is completely out of headroom but I can work with that. Its limiter keeps it from killing speaker coils with DC components in the signal from amp clipping when used LOUD. Still, I decided to add the LWA1000 because I don't trust the Elf to handle any larger rooms well - even with those big cabinets. The Elf does however sound great (never sterile or cold) and its 3 band EQ is well thought out. 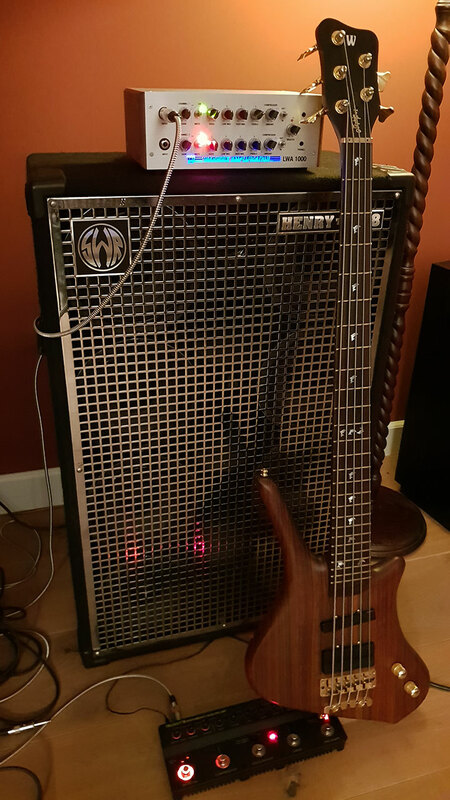 If I were to buy a new cab for it for practicing and the small sessions I would probably get the 2x8 since that has the awesome FaitalPro speakers. But... I haven't tested the cabs as for these situations I have my Phill Jones Bass Cub 2x5" combo already. The PJB has two inputs and EQ sections so I can run vocals or an electric acoustic guitar through that as well. Maybe also a brand to consider? Hoggles, Hardy and Bassist4Eris like this. Toepfer, Hardy, Hoggles and 4 others like this. J.Grim, rsint, DiMarco and 6 others like this. I see what you did there, it's like a 4x15" cab. Bet it sounds monstrous. That's quite a statement considering your Hellborg system. Surely it must have its advantages.